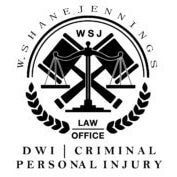 If you dream of becoming a United States citizen, the Law Office of W. Shane Jennings is here for you. We understand the ins and outs of naturalization and can help eligible applicants throughout the process. To get started with our federal immigration lawyer in El Paso, Texas, you must prove your eligibility for naturalization. From there, we can start your journey toward citizenship. Do you reside in the U.S., and have you lived here for the past three to five years? Do you have good moral character? Do you have a general understanding of the U.S. government? Can you read, speak, and write in basic English? If you answered “yes” to all of these questions, you may be eligible for naturalization. Unfortunately, a criminal record may affect your “good moral character” in the eyes of the government. Speak with our federal immigration lawyer if you have any concerns regarding this matter. With our help, you may be able to find a path forward. At our law firm, we provide additional immigration services to El Paso, Texas, residents. In the past, we have helped clients charged with conspiracy, illegal re-entry, and marriage fraud. If you face criminal charges and are not a legal citizen, you still have rights. Our team will protect you and your interests. Our experience in criminal and immigration law makes us a valuable resource. If you would like our expertise on your side, please call today. We will happily arrange a consultation to discuss your options. Reach us at 575-308-0308 to get the process started. We are highly experienced with managing removal cases, which are commonly called “deportation” cases. Our team will help you navigate this complex process with the professional advice and guidance you need to make the best choices for you and your family. Your loved ones’ deserve the best defense possible. If relevant evidence or personal testimony was overlooked by immigration officials or if the process was unfair in your case, our team can help you file an appeal with the Board of Immigration Appeals. This will delay your date of deportation until your appeal is considered. Let us help you achieve justice from the court system. f you are a lawful resident or citizen in the United States, we will help you file an immigration petition on behalf of your family member. This route will allow your loved ones to immigrate legally; claims are considered valid if you can prove your relational status to the individual. Our team of reliable attorneys is ready to help you start this process today. We have the experience you can trust to help you navigate the complicated fiancé visa application process, so you make the best decisions for your family. To be eligible, the applicant must be a legal resident of the United States, the applicant and fiancé must have met in person within the past two years, both are free to marry and both must intend to marry within 90 days of the fiancé’s arrival. Naturalization is the process by which a person from another country can become a U.S. Citizen under the rules in the Immigration and Nationality Act (INA). The Law of Office W. Shane Jennings is experienced with immigration and can help guide you through your naturalization process. You must be eligible to get your citizenship through naturalization. I Am Eligible to Naturalize? Can an Immigration Lawyer Help Me If I Have a Criminal Record or Felonies? This is a period between three and five years before you begin naturalization. The three-to-five-year statutory period is basic eligibility. If you have a criminal record during the statutory period, then you will need to bring your entire criminal record into the immigration lawyer, especially if your criminal record includes felonies or aggravated charges. Your case is different from every other case. If you committed a crime, come in for a free consultation.